In this article, you will find the best Chaga recipes, where you can be creative with this superfood. Chaga is a very powerful superfood, but there are too few Chaga recipes online on how to prepare it. We’ll write about the most popular Chaga recipes here. Remember, there’s no right or wrong – there’s nothing that can ruin the taste or flavor of Chaga. Therefore, you should use your imagination and practice. Let’s start with the most popular recipes for Chaga tea. Making tea is the most popular way to consume Chaga mushroom. These recipes are quite easy to do for beginners too. So, let’s check, what are the different Chaga tea recipes. Take one tablespoon (or two, if you like a stronger taste) of ground Chaga mushroom powder. If you haven’t prepared the Chaga, you should just grind it for best results in quick tea. You can read about preparing Chaga here. Add honey, maple syrup or anything sweet and natural. Sugar can be added too if needed. If you add a slice of lemon, it will give you an interesting sour taste. The first recipe was good for 1 person. However, if you need to make Chaga tea for many people, then you need a better recipe. This is good if you have a bunch of friends and you want to make a Chaga tea for all of them. Also, if your Chaga is still in chunks and not ground, then you can use this recipe. You don’t need to grind the chunks. Take 1-2 Chaga mushroom chunks of 1″ (or powder) for each. If you are by yourself, see the buying guide. Remove from heat, cover, and let it soak for a few minutes. Pour into a cup. Add honey, maple syrup, lemon or whatever you prefer. This one is our favorite summer recipes. There are two types of people in the world – one type likes hot food and drink in summer, the other type doesn’t. We personally prefer cool cold drinks on hot days. Hot drinks just make you sweat and raise your core body temperature, and perhaps lead to dehydration. What could be better than a cooling, healthy drink on a hot summer day? Let’s see the Chaga ice tea recipe. Add sweeteners and let it cool for 15-30 minutes. ENJOY your Chaga ice tea! 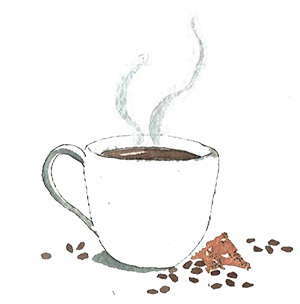 This recipe is quite cool despite the fact there are not many Chaga coffee recipes online. It’s a shame because coffee is such a popular drink for most of the people nowadays. By itself is neither good or bad for you. However, we can transform it into a healthy drink, without changing the flavor. How? Everything should be healthier, so why not coffee? Let’s see the Chaga coffee recipe. Take your ground Chaga. If you don’t have ground Chaga, see the buying guide. As you see, it’s not really Chaga coffee, because the flavor comes from the coffee beans, not from Chaga. So, the coffee taste will dominate the Chaga taste. You may sense a slight woody/mushroom flavor or none at all. It depends on the coffee and the dryness of the Chaga too. However, I like the earthy taste of Chaga mushroom. If you don’t like it, you can easily hide it with lemon. One reader wrote us a chai latte recipe. We were no big fans of chai latte but we gave it a try. The taste is like Chai Lattes, but with the -mushroom taste from Chaga that isn’t bad. If you like chai latte, feel free to try it out. ENJOY your Chaga Chai latte HOT or ICED! Here are some options you can alter – sugar, honey, or maple syrup can all be added to the amount you like best. 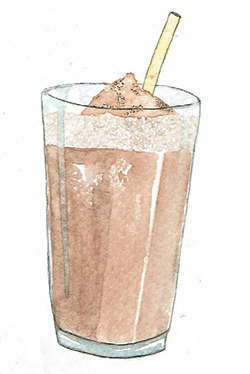 A Chaga smoothie can be made from whatever you like. Chaga mushroom doesn’t have to be the leading taste for the recipe, so you can use any main component you like. If you’re making a Chaga smoothie, sky’s the limit! Feel free to use whatever components you like! Here is one Chaga smoothie recipe we tested and can recommend. When nice and smooth, add 15 drops of Chaga tincture and blend. We like this one. The Chaga tincture adds a strong flavor and you can play with the dosage. You can always try any other smoothie recipes you like. If you want, you can also add different seeds. You can actually make Chaga muffins too. It’s not hard at all. You can use your own favorite recipe. There are no ingredients in Chaga that would ruin a good muffin taste, so feel free to try your own recipes. Ingredients: 2 cups all-purpose flour; 3 teaspoons baking powder; ½ teaspoon salt; 1 cup honey; 1 egg; 1 cup of milk; ¼ cup vegetable oil; 6 teaspoons of Chaga extract/tincture. In a small bowl, beat the egg with a fork. Stir in the milk and oil. Pour the liquid into the large bowl (with the flour and other ingredients). 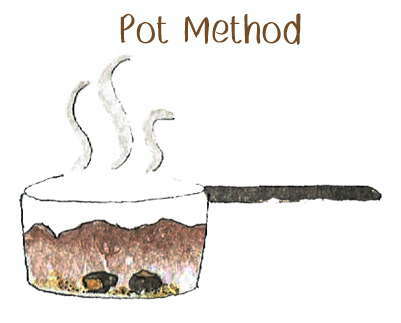 Add the Chaga tincture or extract and gently fold the ingredients together with a fork until moistened. 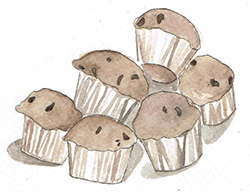 Pour the batter into paper-lined muffin pan cups. 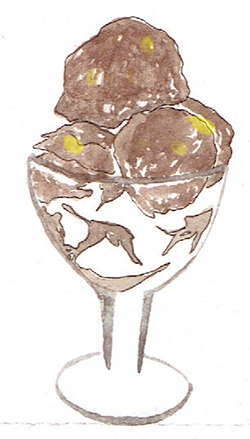 Yes, you can also use Chaga mushroom on ice cream. The great thing about this is that you can turn what is generally not so good for you (but delightfully sinful) into a healthy superfood full of antioxidants. Like always, use your imagination, there’s no right or wrong to make Chaga ice-cream. Ingredients: 3 bananas; 4 oz chocolate; 1 cup cream; 1 teaspoon organic cocoa powder; 2 tsp Chaga extract or tincture. If you want a smoother product, add real cream and sugar, and prepare in an ice cream maker. Feel free to try out your own recipes. It would be a good idea to ask your grandparents how they made ice-cream. The ice-creams then were much better than today. Of course, the milk was richer too. 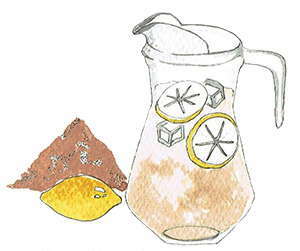 The Chaga mushroom Lemon-Water recipe is quite simple but good on a hot day. If you are inviting friends or you are working together outside in the hot sun, have a carafe or pitcher full of lemon-water. Ingredients: 1 lemon, ice cubes, water, Chaga extract. Add 5 tablespoons of Chaga tincture or extract and stir. As you see, this recipe if very easy. It’s so refreshing on a hot summer day. It takes less time than other Chaga recipes. If you prefer, you can replace the lemon with lime. Let’s go ahead with Chaga recipes. Now you’ll find one, which contains alcohol. 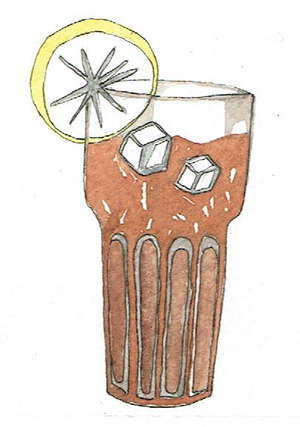 The Chaga Cuba-libre recipe is one we in Chaga101 invented. in our tincture gives it a nice flavor. So why not make a drink of it? Well, the recipe is simple. PS! You should not fool yourself into thinking that just because you add Chaga mushroom to your alcohol, you can drink with no consequences. Drink responsibly, and of course, it is not for kids. But if you don’t have a drinking problem, then this is a delicious recipe. It’s the first alcohol Chaga recipe online. Yes, the tincture is made of alcohol but you don’t drink the tincture. The taste of this cocktail in stronger than the ordinary Cuba Libre. The Chaga mushroom gives it a stronger aftertaste and depth. 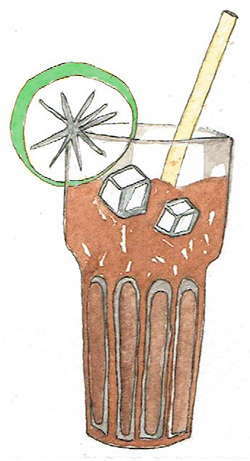 Feel free to experiment with different rums to get most out of this recipe. 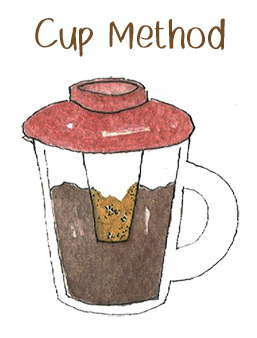 Have you practiced with different Chaga recipes? Send yours here via contact. Add a picture, a description and instructions. If we find it useful, we will publish your Chaga recipes with your name, or if you prefer, we can publish it anonymously. These recipes can anything from super ordinary to super fancy. The sky’s the limit.